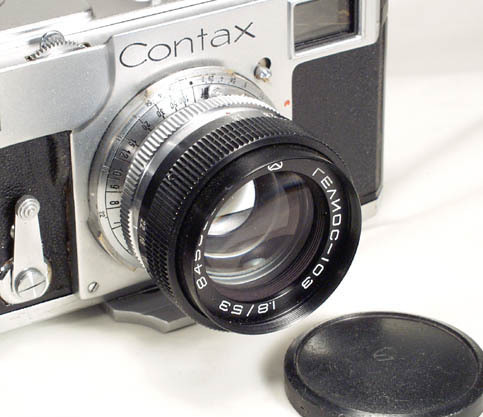 Contax design was so solid, it was hard to improve. 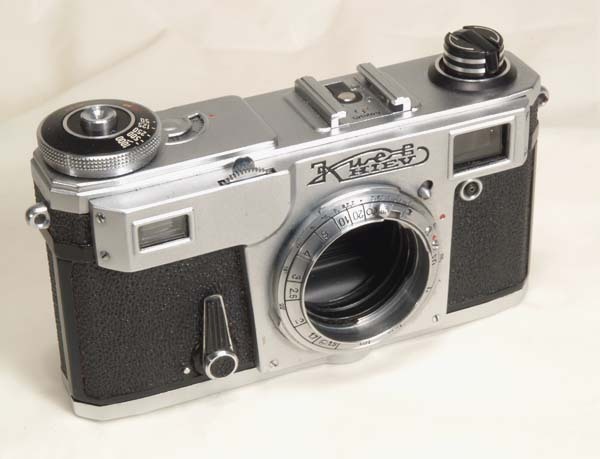 So the engineers of Arsenal plant could only introduce some cosmetic changes to the Kiev-4. 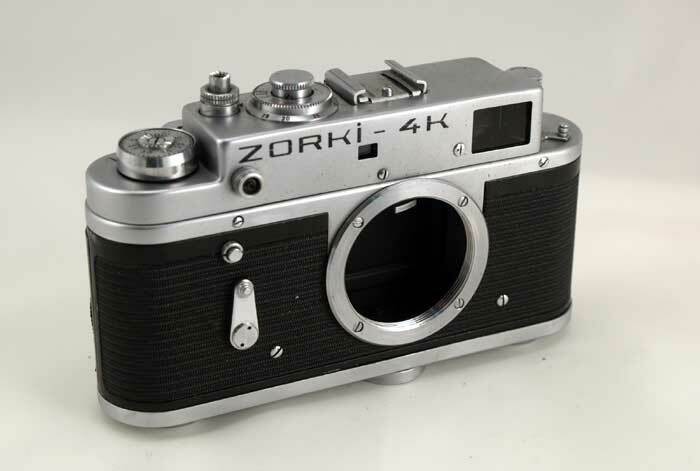 They made it look more modern - the shutter and rewind knobs became black, and a crank was added to the rewind button. 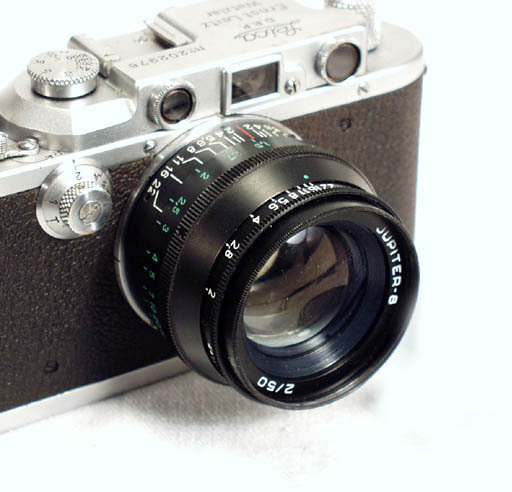 The camera was also equipped with a new, faster lens - Helios-103, 53/1.8. The lens is a great performer and has a very nice and smooth aperture dial with click-stops. Another improvement was a hot shoe; a PC socket was still on its usual place. The camera had a new, built-it take-up spool and a redesigned transport disconnect. In order to rewind film, you have to turn one of the bottom plate lock levers. And finally, these last Kievs came with a handsome, modern black leather case with a plastic hard nose. This Kiev-4m body was made in 1984. The camera body is in exc. condition, it shows very little use. The RF is clear and sharp, the lens is clean and clear, practically mint. The shutter is working on all speeds, the self-timer is operational as well. 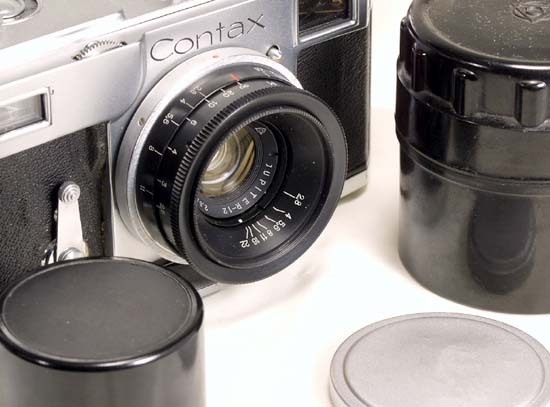 As well as any Soviet Contax copy, the Kiev-4am is a rugged and precision camera, equipped with a great lens. 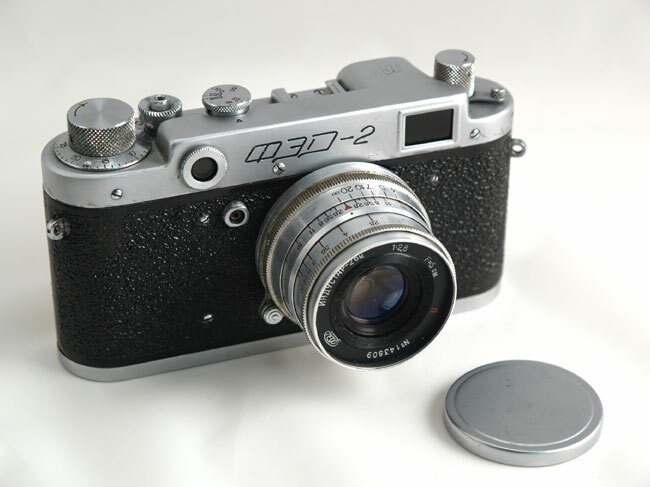 It is capable of taking advantage of modern films, and is simply a great fun to use. This is a great camera and I can't believe how quickly it ar ..